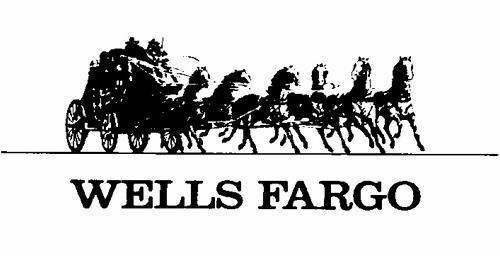 Wells Fargo was heavily involved in the 2007 housing bubble burst with their mortgage backed securities, collateralized debt obligations, credit default swaps and the usual crazy paper derivatives. Well they are doing it again and it’ of no surprise to those of us who know how banks operate. It doesn’t help that they’re doing fractional reserve lending and printing currency out of thin air with help from their friends at the Federal Reserve. Deutsche Bankwhich is also laying off 10,000 employees (1 in 10) and has officially laid off 1,000 employees is a sign that Wells Fargo isn’t alone. 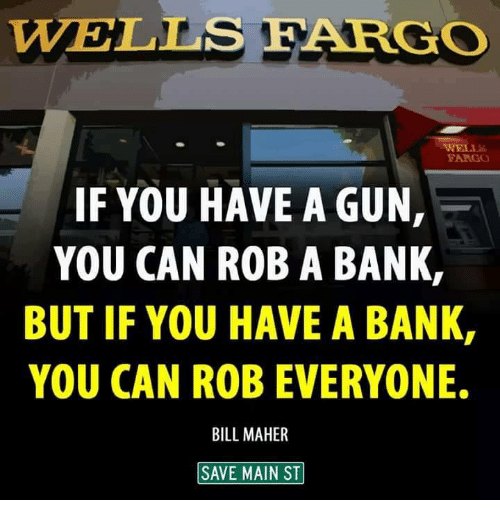 Wells Fargo and Deutsche Bank also go well together considering the schemes they’ve both been involved in over the years with extensive market manipulation. Wells Fargo’s troubles appear to be far from over. In just the last week(10-15-18), the once-impenetrable megabank was ordered to pay$65 millionfor allegedly lying to investors about its retail sales practices that led tomillions of fake accountsbeing opened in customers’ names, and calls for its CEO to resigngrew louderthanks to Sen. Elizabeth Warren, D-Mass. And now, there seems to be more trouble on the horizon. Wells Fargo announced Wednesday that two of its top executives are taking “leaves of absence” for an unspecified length of time and will no longer serve on the company’s operating committee. What that likely means is that there are still regulators looking into the fake account situation and more sanctions are probably coming soon. In fact,Bloomberg reportedWednesday that Hardison and Julian’s leaves of absence came directly after they received letters from theOffice of the Comptroller of the Currency, signaling that they could be the subject of some sort of punishment. The letters, known as 15-day letters, are the agency’s way of saying it intends to pursue sanctions against the recipient. The person who receives the letter gets 15 days to respond to the accusations, and sanctions against individuals can include fines and temporary or permanent barring from the banking industry. This would hardly be the first time that the OCC has taken action against Wells Fargo. Earlier this year, the OCC and theConsumer Financial Protection Bureaufined Wells Fargo $1 billionfor mortgage and auto issues. And the OCC was also part of the original$185 million fineagainst Wells Fargo for the fake accounts. In the wake of Hardison and Julian’s departures, Wells Fargo made several moves among its leadership to fill their roles. Wells Fargo (WFC-2.2%)agrees to paya $65M penalty after the New York Attorney General's investigation into the bank's alleged fraudulent statements to investors. Thesettlement costshave been previously accrued, according to the company.The bank failed to disclose to investors that success of its "cross-sell" business model was built on misconduct such as opening millions of fake deposit and credit-card accounts, says New York Attorney General Barbara Underwood. Wells Fargo did not admit liability. "We believe that putting this matter behind us is in the best interest of all of our stakeholders, including customers," the company said in a statement. The Attorney General’s office is also continuing its investigation of Wells for allegedly opening unauthorized accounts and enrolling consumers in services without their knowledge or consent. Today’s settlement has no impact on that ongoing investigation and other pending investigations of Wells Fargo. TAB Editor comment; gee, wouldn’t it nice if people at sentencing could say the same thing; ‘I don’t admit to liability, I believe that putting this matter behind us is in the best interests of society and the commercial viability of all concerned.” All equal before the law RIGHT? In my opinion, the best sources of information on the origins and use of credit as money are in Alfred Marshall, MONEY, CREDIT & COMMERCE 249-251 (1929) and Charles P. Kindleberger, A FINANCIAL HISTORY OF WESTERN EUROPE 50-53 (1984). A synthesis of these sources, as applied to the facts of the present case, is as follows: As commercial banks and discount houses (private bankers) became established in parts of Europe (especially Great Britain) and North America, by the mid-nineteenth century they commonly made loans to borrowers by extending their own credit to the borrowers or, at the borrowers’ direction, to third parties.The typical form of such extensions of credit was drafts or bills of exchange drawn upon themselves (claims on the credit of the drawees) instead of disbursements of bullion, coin, or other forms of money. In transactions with third parties, these drafts and bills came to serve most of the ordinary functions of money. The third parties had to determine for themselves whether such “credit money” had value and, if so, how much. The Federal Reserve Act of 1913 was drafted with this model of the commercial economy in mind and provided at least two mechanisms (the discount window and the open-market trading desk) by which certain types of bankers’ credits could be exchanged for Federal Reserve credits, which in turn could be withdrawn in lawful money. Credit at the Federal Reserve eventually became the principal form of monetary reserves of the commercial banking system, especially after the suspension of domestic transactions in gold in 1933.Thus, credit money is not alien to the current official monetary system; it is just rarely used as a device for the creation of Federal Reserve credit that, in turn, in the form of either Federal Reserve notes or banks’ deposits at Federal Reserve Banks, functions as money in the current monetary system.In fact, a means by which the Federal Reserve expands the money supply, loosely defined, is to set banks’ reserve requirements (currently, usually ten percent of demand liabilities) at levels that would encourage banks to extend new credit to borrowers on their own books that third parties would have to present to the same banks for redemption, thus leading to an expansion of bank-created credit money. In the modern economy, many non-bank providers of credit also extend book credit to their customers without previously setting aside an equivalent amount of monetary reserves (credit card line of credit access checks issued by non-banks are a good example of this type of credit), which also causes an expansion of the aggregate quantity of credit money. The discussion of money taken from Federal Reserve and other modern sources in paragraphs 11 et seq. is consistent with the account of the origins of the use of bank credit as money in this paragraph. Plaintiff apparently asserts that the Defendants signed a promise to pay, such as a note(s) or credit application (collectively, the “Note”), in exchange for the Plaintiff’s advance of funds, credit, or some type of money to or on behalf of Defendant. However, the bookkeeping entries required by application of GAAP and the Federal Reserve’s own writings should trigger close scrutiny of Plaintiff’s apparent assertions that it lent its funds, credit, or money to or on behalf of Defendants, thereby causing them to owe the Plaintiff $400,000. According to the bookkeeping entries shown or otherwise described to me and application of GAAP, the Defendants allegedly were to tender some form ofmoney(“lawful money of the United States of America” is the type of money explicitly called for in the Note), securities or other capital equivalent to money, funds, credit, or something else of value in exchange (money of exchange, loosely defined), collectively referred to herein as “money,” to repay what the Plaintiff claims was themoneylent to the Defendants.It is not an unreasonable argument to state that Plaintiff apparently changed the economic substance of the transaction from that contemplated in the credit application form, agreement, note(s), or other similar instrument(s) that the Defendants executed, thereby changing the costs and risks to the Defendants.At most, the Plaintiff extended its owncredit(money of account), but the Defendants were required to repay inmoney(money of exchange, andlawful moneyat that),which creates at least the inference of inequality of obligationson the two sides of the transaction (money, includinglawful money, is to be exchanged forbank credit).